It's nearly that time of year! SCHOOL PHOTOS!!!! YAAAAYYY! Today your children will be bringing home order forms and information about ordering school photos, these are INDIVIDUALLY named. Forms and payment must be returned to school BEFORE photo day please. If you are wanting sibling photos, you will need to collect a sibling envelope from the office. 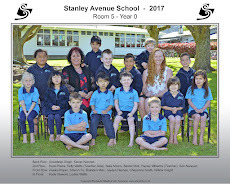 Please note this is only available for siblings enrolled at Stanley Ave School. I have taken a photo of the order form so you can see the packs available. Please let me know if you have any questions .